Our heavy duty belt driven live roller conveyor is ideal for applications conveying pallets in an environment where access is necessary from either side, or where relatively low elevation loading and unloading is needed (12 inches minimum). Our frames are made from heavy duty structural steel with heavy duty structural steel supports. 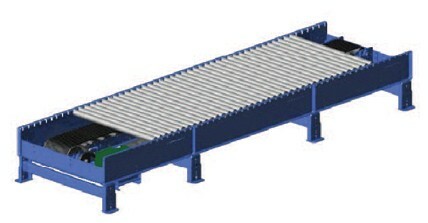 This conveyor is available in a variety of lengths, widths, and motor sizes. Zero-pressure accumulation is also an option.